Strikes at McDonalds in Crayford and Cambridge – where the Bakers Food and Allied Workers Union (BFAWU) balloted for strike action and received an overwhelming 95.7 per cent vote in favour – could spread as the reality of exploitation in the food industry is exposed. “A global fightback has taken place by fast food workers getting organised to demand a decent living wage and the right to union recognition. The Fight for $15, backed by the SEIU union in the US, has already won significant pay rises for over 22 million workers. Their campaign marked by a determined and militant form of mass direct action, linking up workers with community groups in a fight for social justice. In New Zealand, too, the UNITE union has successfully forced through the abolition of zero-hours contracts. Here’s a video from a public meeting in Govanhill last week. It would be wrong however to think that this is an issue confined to the fast food industry. Expensive Scottish restaurants rely on Zero Hours contracts, contracts that demand secrecy about pay, long hours and poor conditions. As Mark McHugh points out it was McDonalds who invented zero-hours contracts in 1974. It was McDonalds that inspired Douglas Coupland to coin the phrase ‘McJobs’. 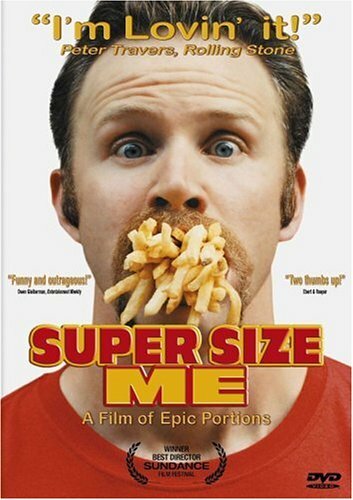 It was McDonalds that inspired Morgan Spurlock’s iconic (2004) film Supersize Me. It is McDonald’s that – bizarrely for a company associated with dietary-related ill-health – sponsors our youth football in Scotland. It is McDonald’s that – even more bizarrely – are sponsoring the new Edinburgh Sick Kids. Now the political challenge is to get mass public support for Unite’s Fair Hospitality Charter, which calls for regular breaks, paid transport for workers safety late at night and an anti sexual-harassment policy. Unite launched the Fair Hospitality campaign earlier this year, giving a voice to Scotland’s 256,000 hospitality workers, and is asking MSPs to pledge their support to transform the sector. The union outlined the plight of workers employed within restaurants, hotels, cafes and bars who are some of the most exploited in the economy, with many employed on less than £7 an hour. The Fair Hospitality campaign seeks to equip precarious workers with the knowledge to access their employment rights, provide them with the skills to organise colleagues as well as encouraging a collective confidence to challenge some of Scotland’s most exploitative employers; transforming the hospitality sector for those who work within it. The centrepiece of Unite’s campaign is the Fair Hospitality Charter which is a list of reforms needed to transform the sector for the benefit of employees and customers. The list includes the real living wage, an end to discriminatory youth wage rates and stricter anti-sexual harassment policies for the workplace. Unite Scotland’s hospitality sector organiser Bryan Simpson said: “Hospitality workers are the lowest paid and most precariously employed workers within the Scottish economy. More than 25 per cent of companies in the sector employ workers on zero hours contracts with a significant number of workers earning below the minimum wage. This combination of poor pay and job insecurity is exploitative and demeaning to our members who do a fantastic job day in day out. More details FAIR HOSPITALITY here. But this isn’t just a battle against one company it’s a battle against a system of exploitation. This isn’t just a battle against low-pay it’s a battle against precarious living. McDonalds workers are on strike today. Contribute to the strike fund here. Don’t cross a picket line. Don’t buy McDonald’s. The people at the SWP probably think they’re doing a great job picking up this campaign to help promote the cause of justice and fair conditions for people that are being systematically expoited due to their economic vulnerability and lack of a coordinated response. But honestly the conditions that come with this kind of help from this kind of organisation makes most people run a mile. The party branding, the promotion of party agendas, the electoral positioning, the credit taking, the framing of the debate, the spotlight seeking – it all smacks of old world corruption. This kind of politics is thoroughly infused by old power structures whose unconscious product is to self-sabbotage any real chance of massive adoption. We need new approaches, new thinking, new types of organisation and governance more akin to 38 degrees than any electoral political party.